No matter what, we cannot deny that the efficiency of a business is decided by its infrastructure. This simply implies that incompetent customer service is a derivative of an inadequate infrastructure. In today’s scenario, the infrastructural capability of an enterprise is propelled by its technological capabilities. Without a doubt, a robust infrastructure functions as the backbone of your business and helps you meet the expectations of your customers. 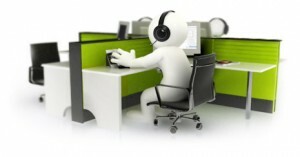 At Vcall Global, we power our delivery centers with advanced technology and a CISCO based infrastructure network. The implementation of Cisco technology at all the delivery centers enables effective call routing. Moreover, there is always an option of rerouting a call through an alternative IP network if fluctuation takes place. Cisco technology takes care of the information flow at our enterprise by focusing on communication, connectivity and security. You should not be surprised to know that we have handled complex business requirements with our infrastructural competencies. In-call and out-call across 30 nations.